You can read more about the book on the Huffington Post Science site, or in my blog post What is the Brain Supremacy? You can learn more about the brain supremacy from my YouTube videos. In a world full of science, the balance of power between sciences is changing. Advances in physics, chemistry and other natural sciences have given us extraordinary control over our world. Now the younger sciences of brain and mind are applying the scientific method not only to our environments, but to us. In recent years funding and effort have poured into brain research, achieving remarkable advances in understanding. We are entering the era of the brain supremacy. What will the new science mean for us, as individuals, consumers, parents and citizens? Should we be excited, or alarmed, by the remarkable promises we read about in the media – promises of drugs that can boost our brain power, ever more subtle marketing techniques, even machines that can read minds? What is the neuroscience behind these claims? How do neuroscientists look inside living human brains to get their astonishing results, and what are the implications of their research? 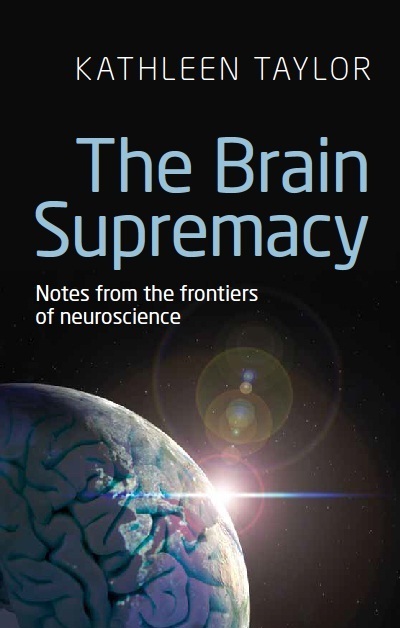 The Brain Supremacy is a lucid and rational guide to recent developments in this most crucial of sciences. Using cutting-edge examples from the research literature and the media, it explores the science behind the hype, revealing how techniques like fMRI actually work and what claims about using them for mindreading really mean. Looking to the future, the book sets current neuroscience in its social and ethical context, as an increasingly important influence on technology and society. It reveals the beauty and power of brains and the techniques used to study them, and it emphasises that all of us can shape the future of brain research. The brain supremacy offers the prospect of fundamental changes in how people see themselves, and how they interact. We can be onlookers, or participants; the choice is ours. Chapter 3. Could We Read Minds? Chapter 4. Bring on the Designer Minds? Topics covered include epigenetics, neurogenetics, electrophysiology and neuroanatomy. Methods covered include fMRI, EEG, optogenetics, PET and MEG.